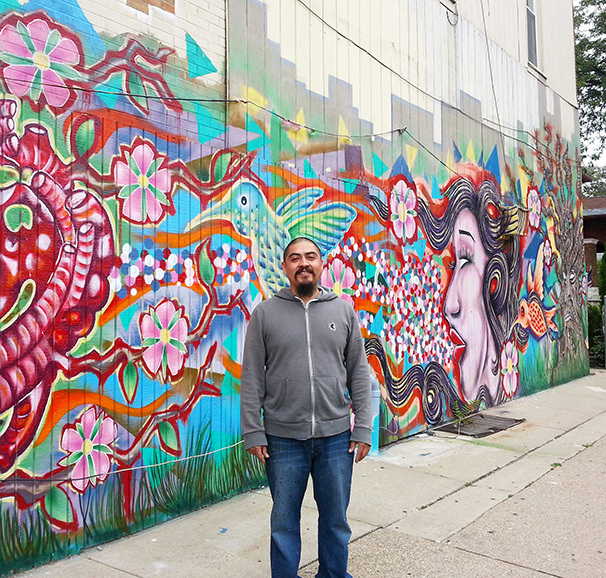 Ramiro Sandoval Arguta is a rising muralist in Milwaukee who aims to make Milwaukee’s neighborhoods beautiful and to instill pride in its residents. His focus has primarily been on National Avenue, where he owns and runs a tattoo shop called Rebel Ink. 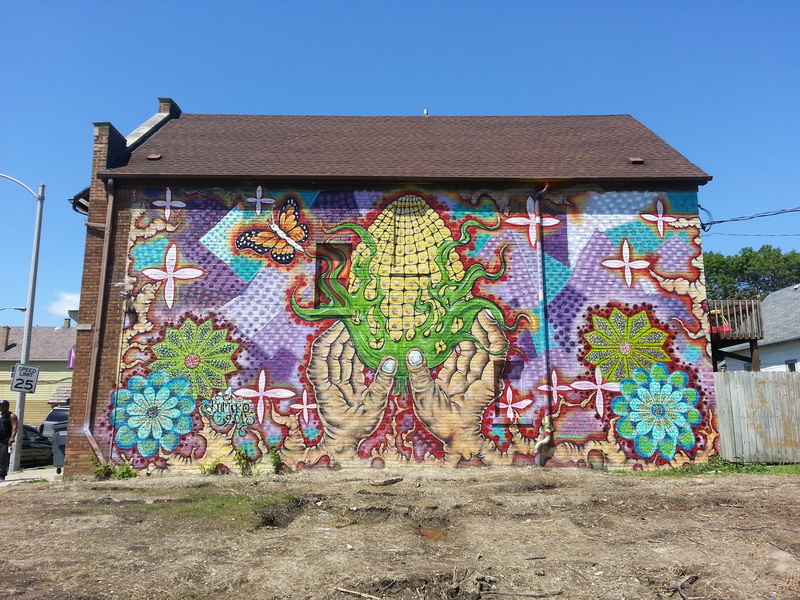 In 2014 he designed and painted 2 murals (at 2000 and 2200 W National Ave.) and hopes to paint several more along National Ave. in 2015. 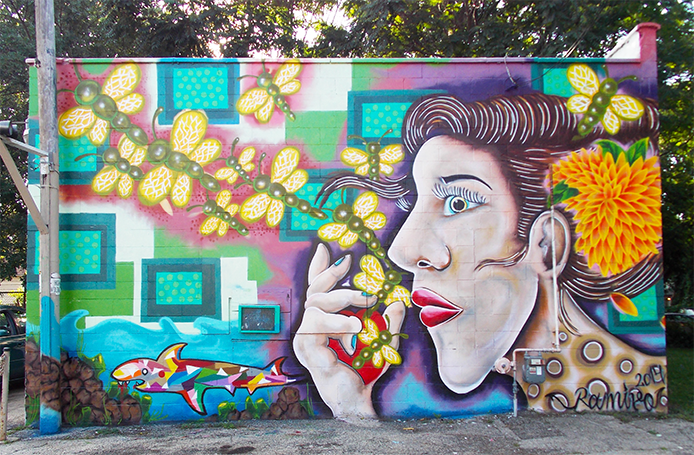 He likes to paint themes of freedom, life, and connectivity and uses the important women in his life as inspirations for the women in his murals; the woman in his mural, “The Hummingbirds” (seen above), for example, is in the likeness of his mother, who died when he was very young. Always finding a way to fit art into his life, Ramiro has dreamed of being able to devote 100% of his time to creating art since he was a boy. After moving to the United States and working for many years, he was finally able to meet this goal when he opened his own tattoo shop in 2012. With a number of employees on his staff, he is able to spend time at work while also devoting time to painting murals for the community. Ramiro says it takes him 5 days to paint a mural from start (cleaning/prepping the painting surface) to finish (adding a protective coating) and hopes to one day paint murals in Waukesha where he lives, as well.